A beautiful and delicious gift to help you get into the Christmas mood. 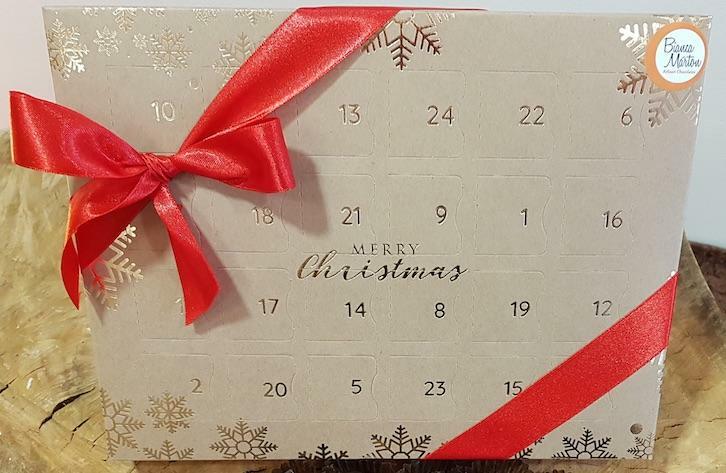 This beautiful advent calendar with its delicious contents will help you get into the Christmas spirit. It contains 24 of chocolates including pralines, truffles, creams, ginger, orange, and chocolate tablets. Great for you, and as a gift.